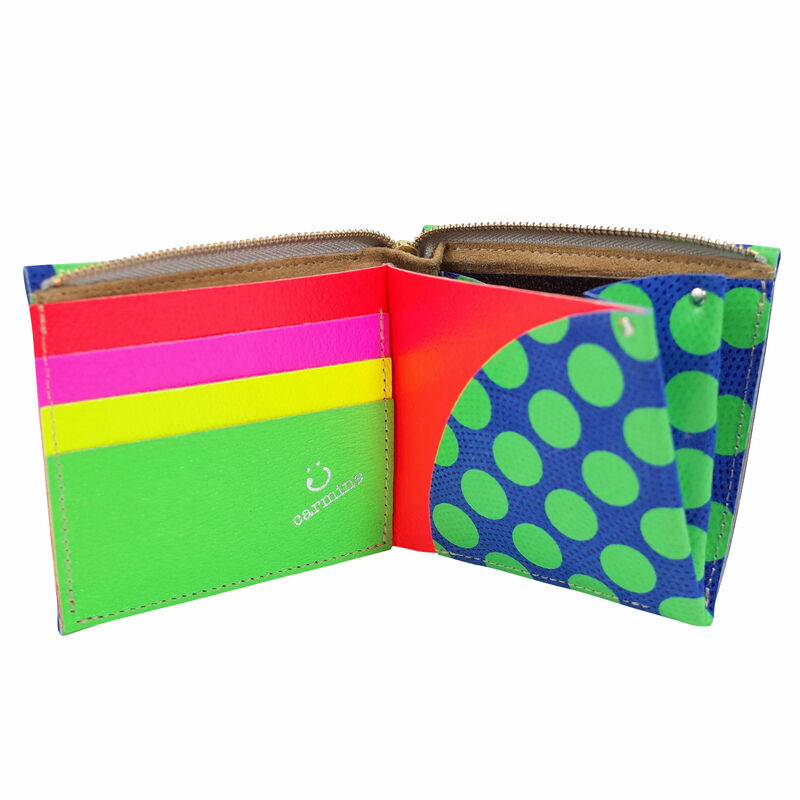 The reason why this wallet is called "ONE WALLET" is that once you open the wallet with ONE acction, you can see everything at ONE look in ONE pocket! 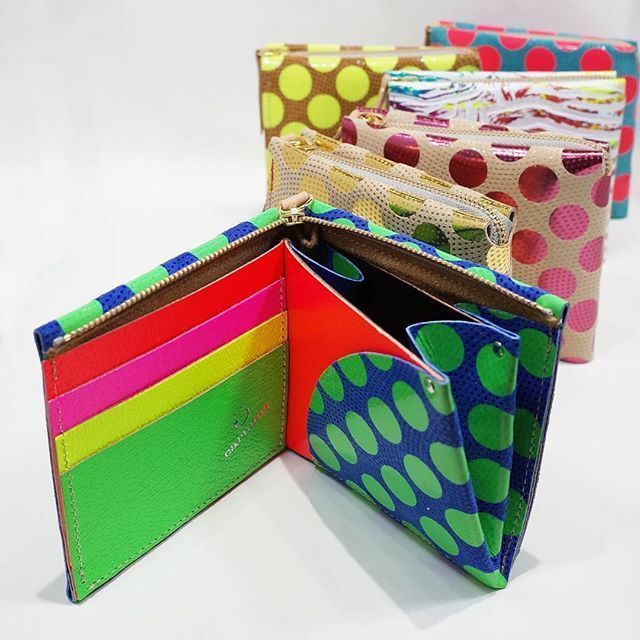 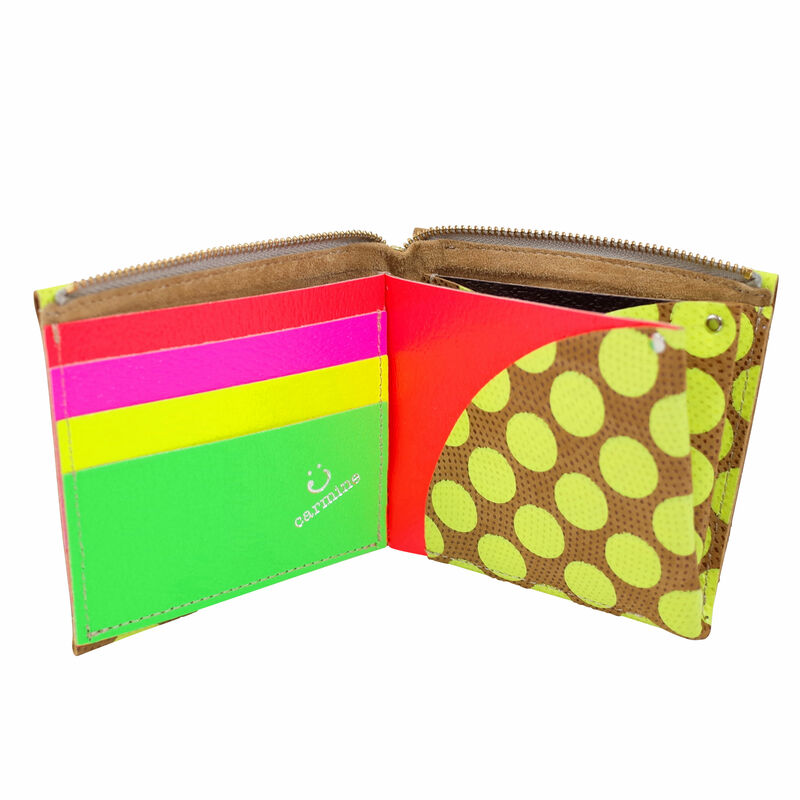 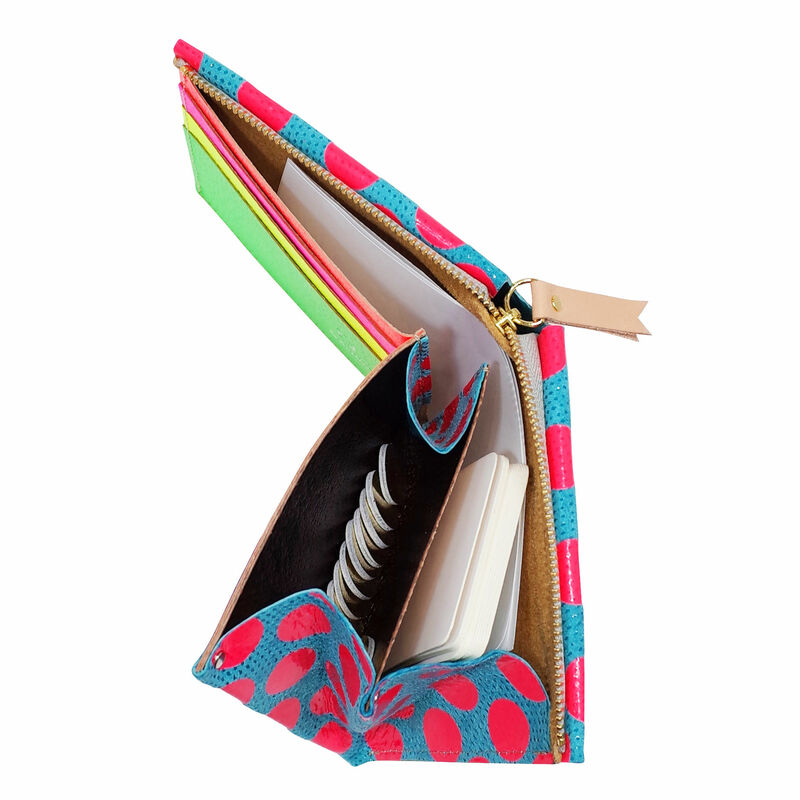 It has slightly shallow coin pocket and 4 card slots. 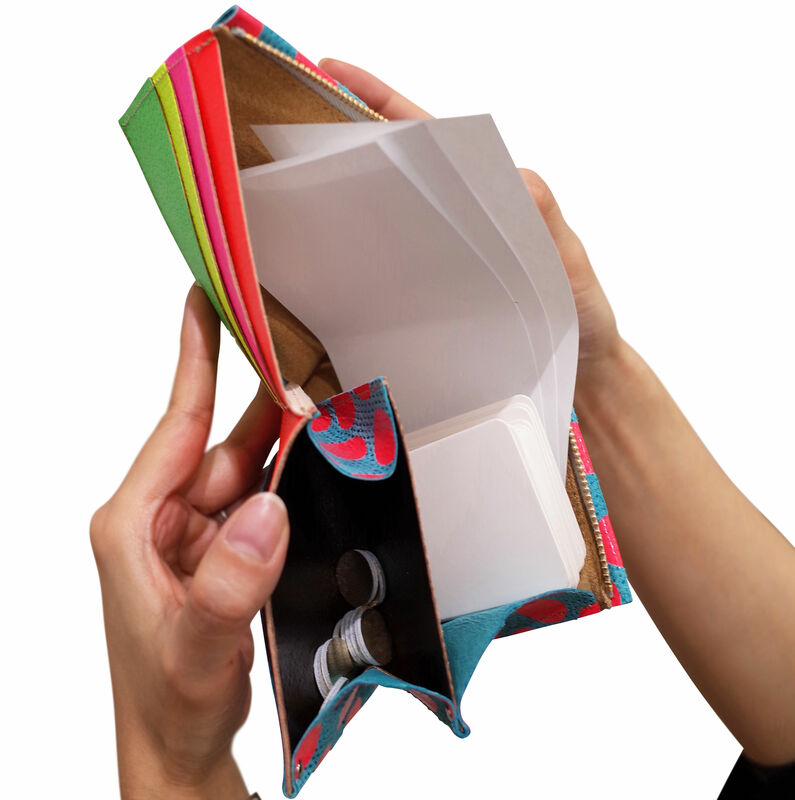 You can also put a bunch of cards behind the coin pocket. 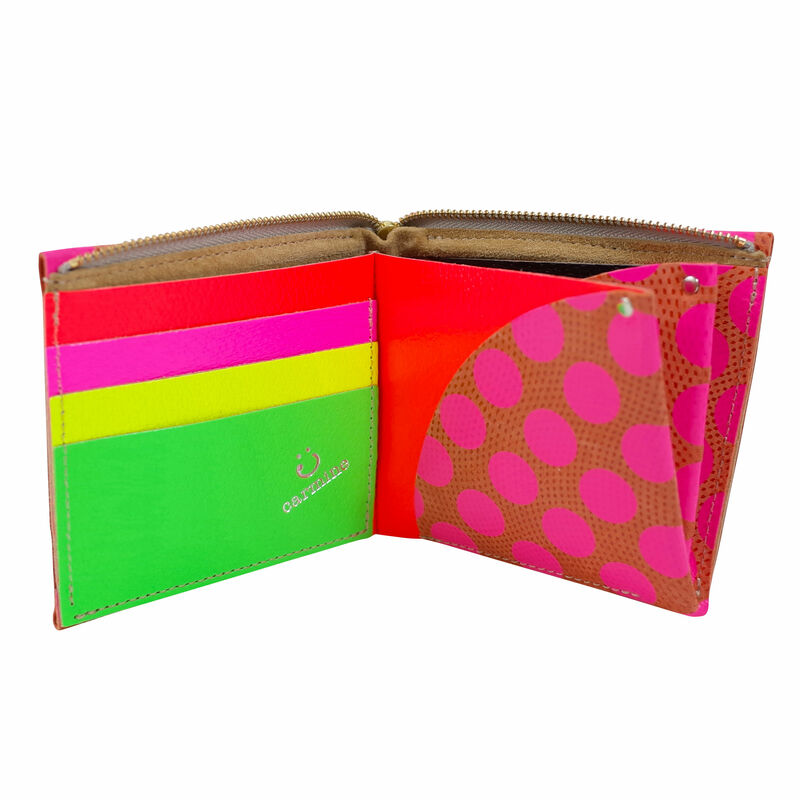 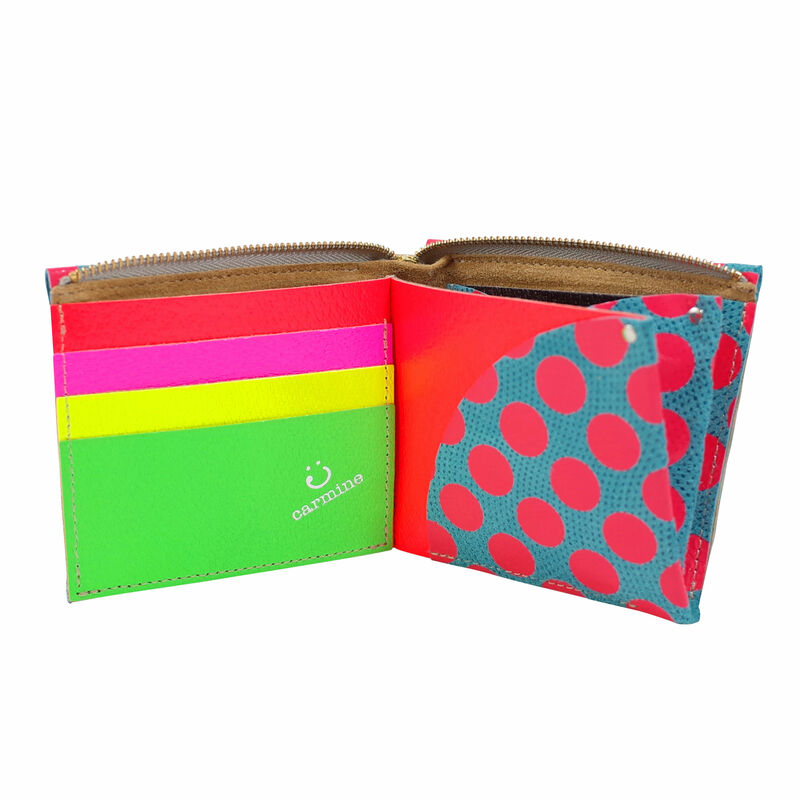 This is a compact wallet with pursuit of ease of use and availability of all ages. 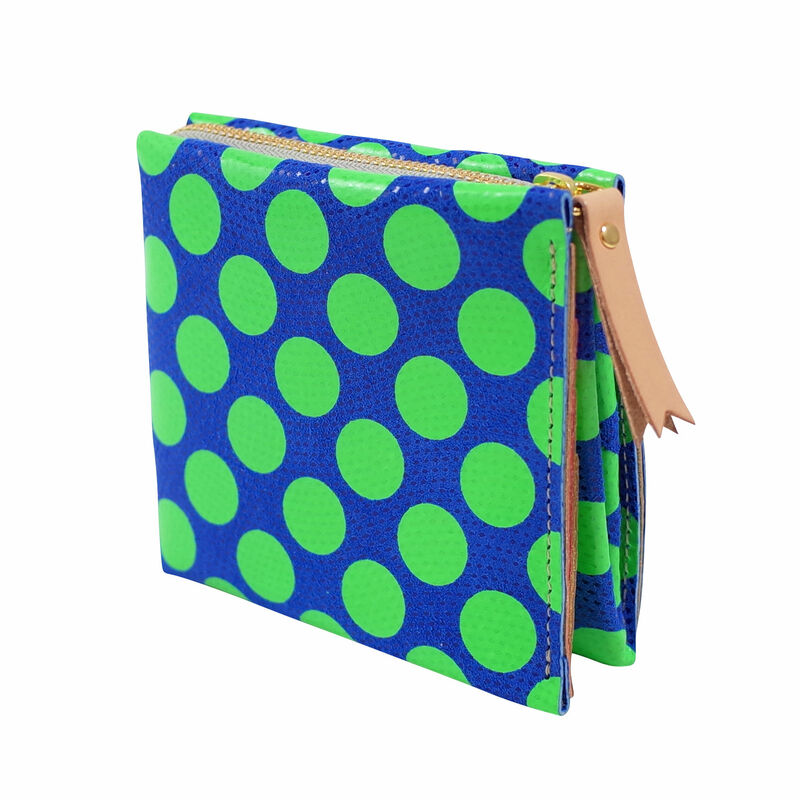 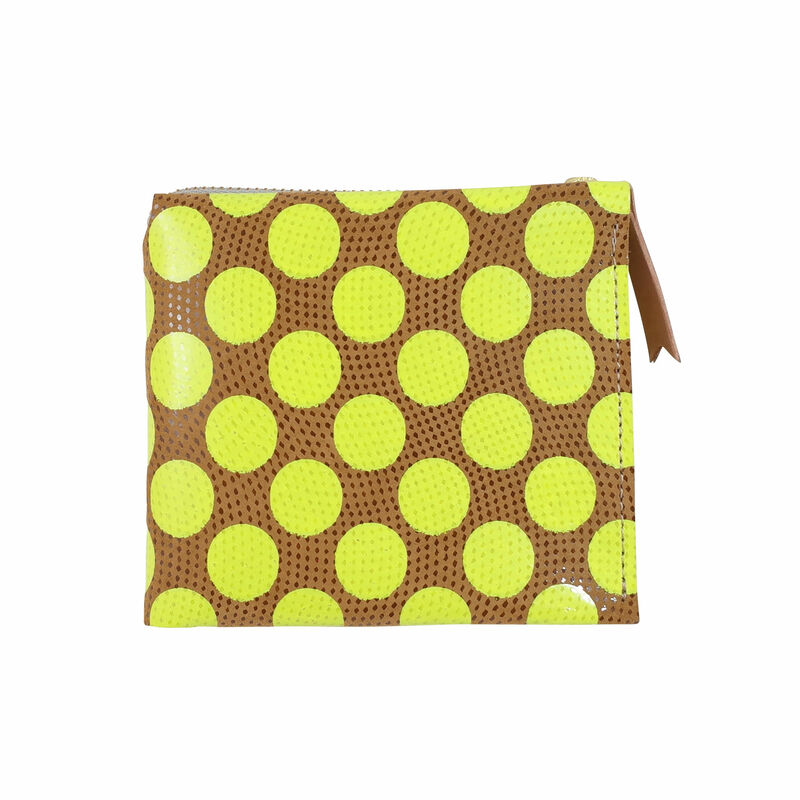 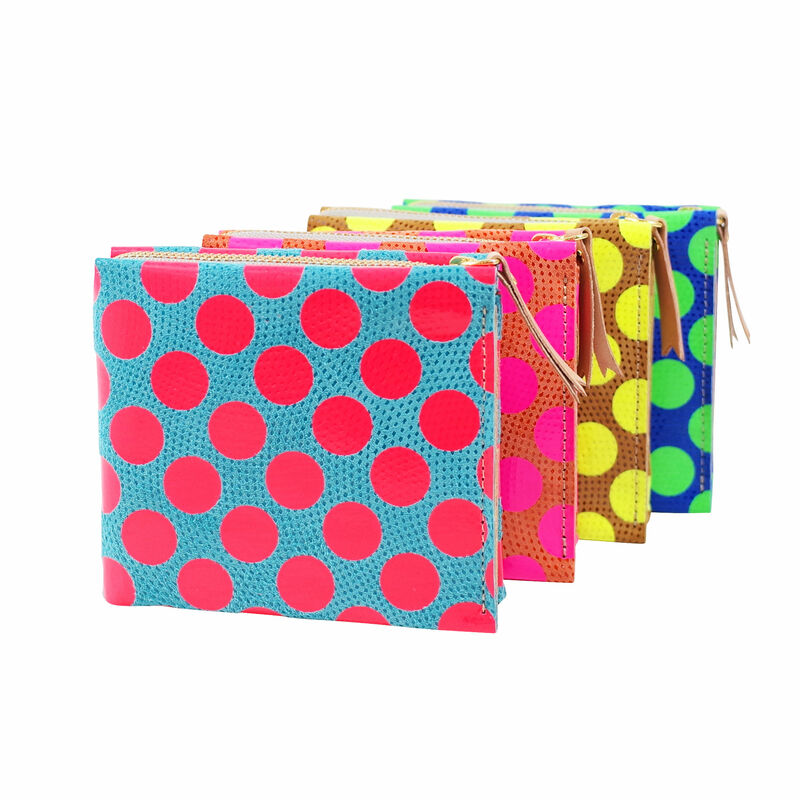 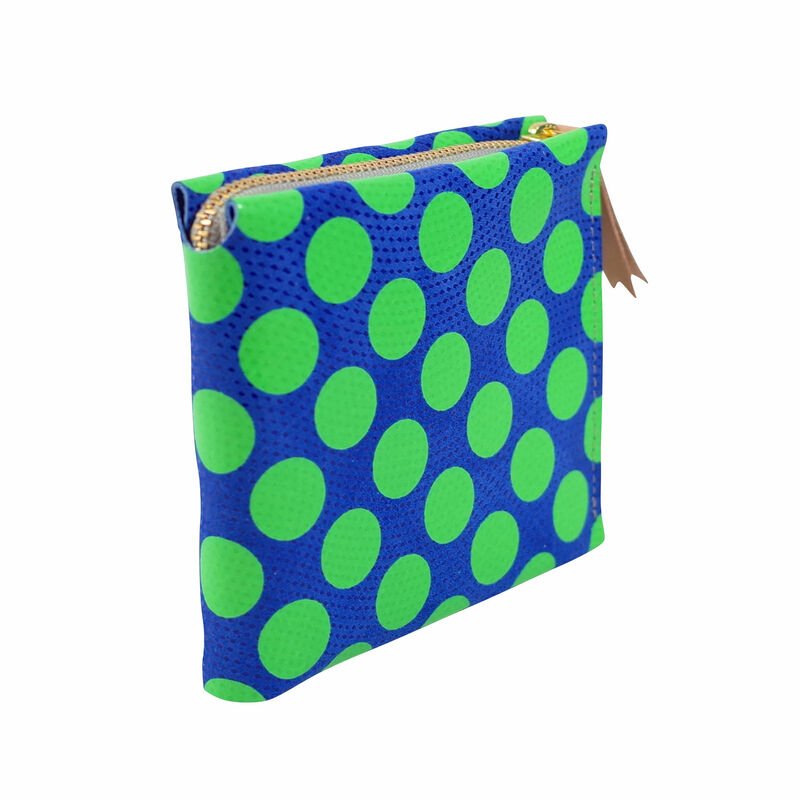 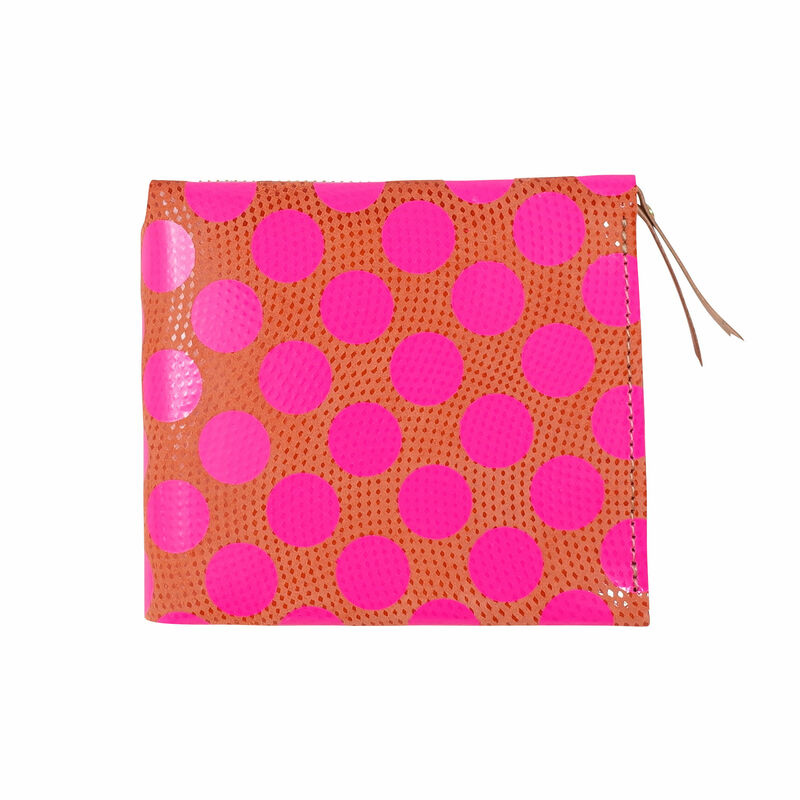 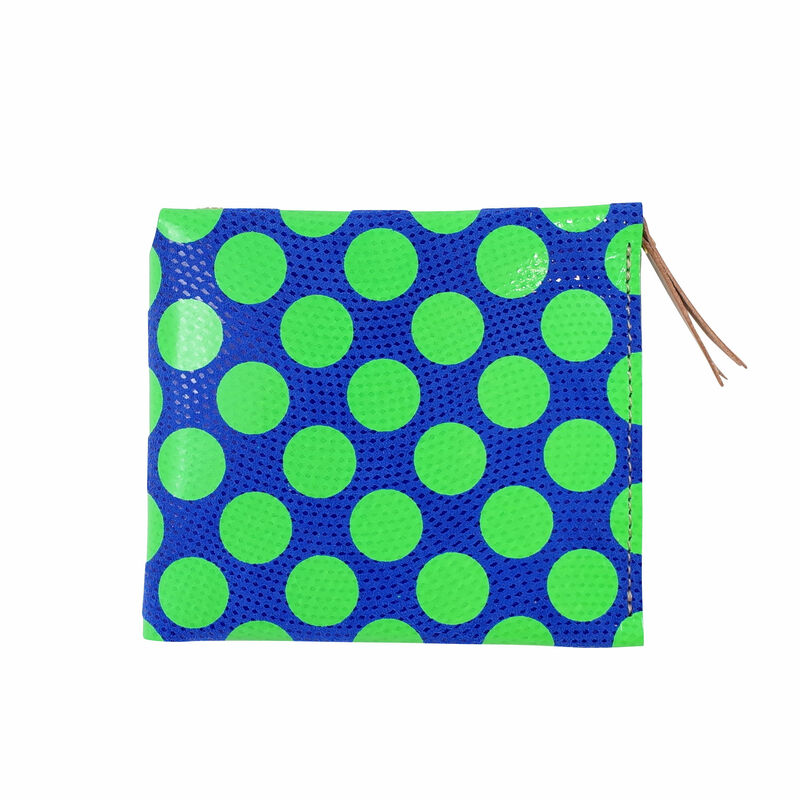 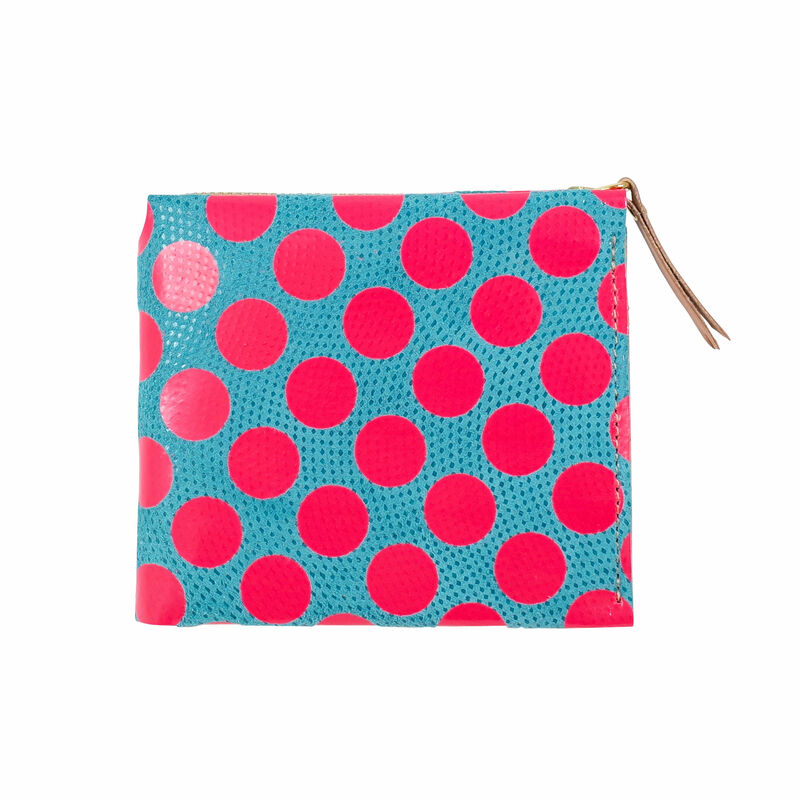 Vivid polka dots are arranged on good-touch suede.